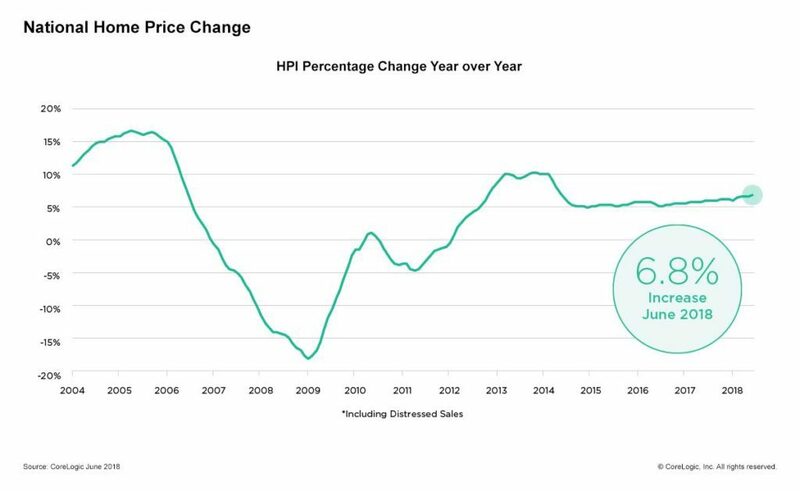 As home prices continue to soar, millennials now believe affordability is the biggest hurdle standing between them and homeownership, according to CoreLogic’s latest Home Price Index and HPI Forecast, published Tuesday. In June, the average cost of a home rose by 6.8 percent year-over-year while the price of a single-family property inched up 0.7 percent between May and June, according to the California-based property analytics firm. The upward spike has persisted, stubbornly, since 2012, according to the data. Even with the NAR pinning the median price of a home at $264,800, CoreLogic predicts prices will increase 5.1 percent by June 2019. Such prices, coupled with inventory shortages, are leading many millennials to view the idea of owning their own home as increasingly unattainable. Renter under the age of 29 were more likely to want to buy a home than many older respondents, yet 63 percent of millennials reported the high price of a down payment or mortgage costs were holding them back, according to the new analysis. 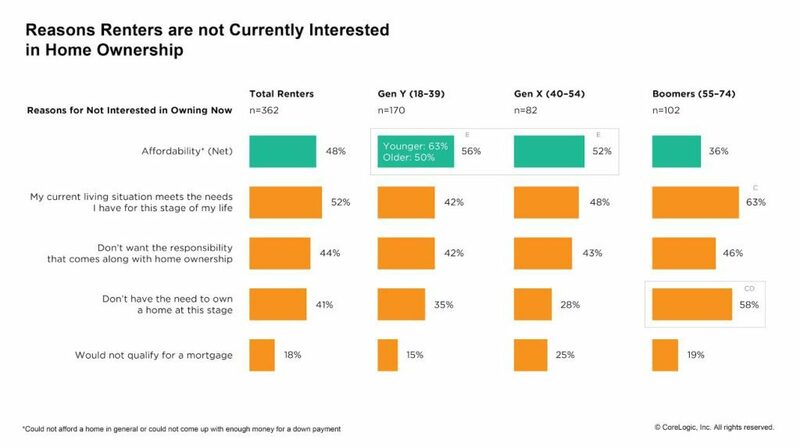 By contrast, the majority of Baby Boomers who said they don’t want to buy reported they have no interest in purchasing at their current age. While all 50 states recorded year-over-year price increases, Nevada, Idaho and Utah saw some of the largest year-over-year price hikes. In Las Vegas, the average home price jumped 12.9 percent, according to the CoreLogic indices. “More needs to be done to help our first-time buyers join the homeownership class,” Martell said.